Don’t forget this Sunday 9th is Harvesting Day for Rascals Brewing’s Social Hops project at The Bernard Shaw from 1pm to 6pm, bring your harvested hops in a paper bag/box only or bring your hops on the vine to be communally harvested together. 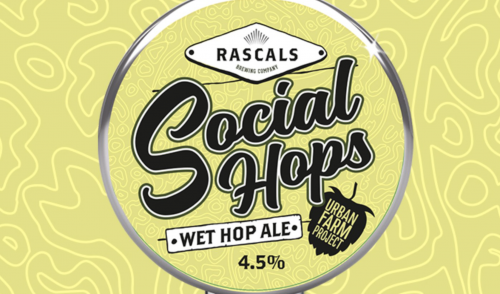 Rascals will be brewing Social Hops on the 10th. The beer will be ready in time for the BREWTONIC BEER FESTIVAL on 21st-23rd Sept for y’all to try the fruits of your labour. Basic Idea; Grow hop plants wherever you can – in little gardens, roofs, and patches. Then they are harvested and passed on to local breweries to make beer. In return for their services, growers get to attend social events and drink some free beer over the next three years. Simples.